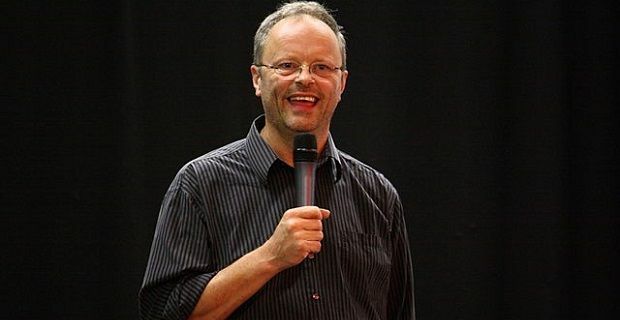 Actor Robert Llewellyn set himself the challenge of proving that an electric car could be taken from London to Edinburgh in a day and he’s been proven right. He and co-driver David Peilow completed the 450 mile trip from London to Edinburgh castle last night in a Nissan Leaf. They’re journey began at Marble Arch at 6.30am and contained plenty of stops at public charge points to top up the car’s battery. Llewellyn is an electric car nut who has been planning this for a while but until now technology hasn’t been in line with the man’s vision. "I think the fact that it is now even theoretically possible is a big step. As we know, only three years ago it was incredibly hard unless you had a £100,000 car," said Mr Llewellyn. Llewellyn and Peilow took advantage of a network of rapid chargers that can top the battery to 80% capacity in half an hour. If they had carried out the same journey three years ago, the same charge points would have needed six hours to produce the 80% charge. "David has allotted 35 minutes for each stop, giving us time to find the charger, plug in, take pictures, have a pee and eat my pre-prepared sandwiches," Mr Llewellyn said. There are now 150 rapid charge points throughout the country but the trip to Edinburgh from London is still a great challenge. The Nissan Leaf’s sat nav system makes finding their locations easier and the Leaf tells the driver exactly how many miles are left in the battery so the pair were able to keep the car’s cabin pretty cosy by using the heaters without fear that they were blindly draining the battery. Although the pair made it to Edinburgh, is it too early to say that the practical electric car has arrived? The Nissan Leaf is now a pretty affordable £16,000 and there are quite a few charge points in the country but electric cars still don’t offer the freedom that petrol, diesel and hybrid machines do.